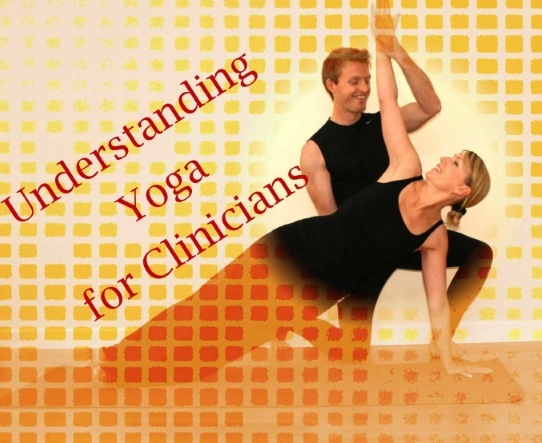 A day specifically designed for clinicians to explore Yoga: what the research actually supports as well as the difference between different 'schools' or types of Yoga that will help clinicians make informed decisions when referring clients. Join us for a pre-Christmas give-away as we raise money for homeless people with Yoga. Get sponsored for a doing your health-giving Sun Salutations and breathe easy afterwards, knowing you’ve done good. There will be lots of Christmas goodies on sale ~ home-made biscuits and sweets for Christmas. 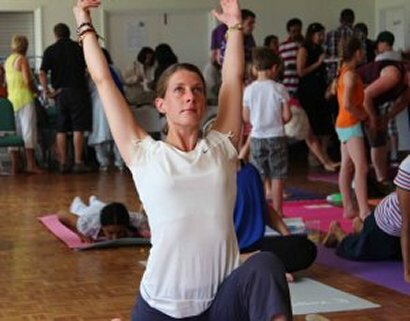 The fabulous World Yoga Festival that invites teachers from all over the world to come to Berkshire for 3 days of the year to celebrate and share Yoga, has this year invited a number of Traditional Yoga Teachers to teach. Krishna reveals himself in the Bhagavad Gita as an incarnation of the Highest Divinity. In the process of teaching his disciple Arjuna who is confused about what is the right action, Krishna says that no action can be right until the actor is right, and that in order to be the right actor one must practice the discipline of Yoga. Also, that the purpose of Yoga cannot be fulfilled without undertaking yajña involving a sacrifice of one’s attachment to the level one is at as well as some benediction of forces (devas) higher than oneself. We are delighted to announce that Prof. Ravi Ravindra has agreed to give us a talk on the Bhagavad Gita. 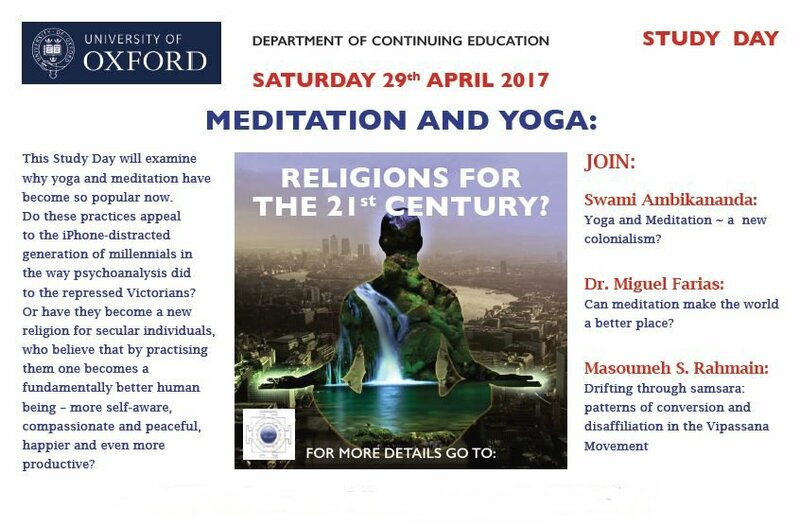 This is one of the major texts on Yoga and as Raviji has recently published a commentary on the Gita, this should be an inspiring talk for all of us. There is ample parking and tea and biscuits will be available. Six hour tutorial with award-winning Filmmaker Simon Chambers. A Special Edition Bhagavad Gita. The draw for the 02 On Stage Together Sting and Paul Simon was done at the Garuda Studio in London on 31 March. Everyone present had a chance to give the barrel of tickets a turn and young Oliver gave it a final few rolls before Tony Tabatznik ~ a long-term supporter of Mukti ~ dipped his hand in and removed the winning ticket. He also drew a second reserve ticket that was placed in a sealed envelope. The winning ticket belonged to Melissa Sheppard. A very sad Melissa has had to decline the prize due to a work engagement that she is unable to get away from, and the prize then passed onto that reserve ticket-holder. The lucky person therefore going to the 02 concert with the Mukti prize is the reserve ticket-holder John Cardy from Fareham, who tells us he is taking his wife, Charlene. ~ enjoy a night at a London hotel plus dinner. All funds raised go to MUKTI. The Surya Namaskar-athon is MUKTI’s biggest fund-raising event. It is a chance to practise charity and Yoga by getting sponsorship for any number of Sun Salutations Yogins choose to do. 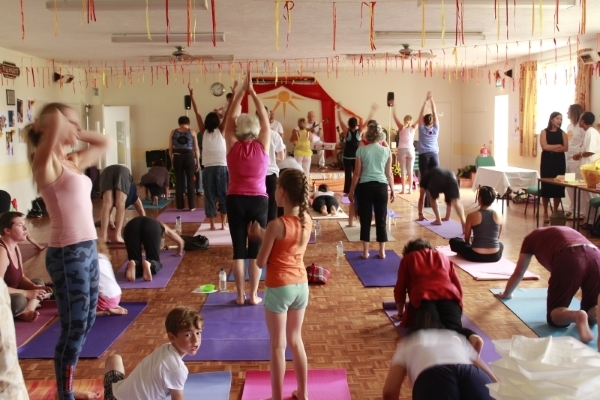 In June 2014 Yogins from different schools gathered in Reading for the 2014 Surya Namaskar–athon. Everyone who participated brought their sponsorship forms and got down to doing their Sun Salutations accompanied by the music of the Ryewolf quartet. During the afternoon we were joined by Vaneet – tabla player supreme, and Yoga student Raju Bharti led us through the new Mangala Namaskar Vinyasa developed specially for the occasion by James D’Silva of Garuda Studio. MUKTI’s ‘Yoga Ladies’ kept serving up the delicious food they had prepared so Yogins could re–fuel. As prizes for our raffle, MUKTI’s patron Trudie Styler sent a super-hamper of Lakehouse organic produce and other goodies, and James D’Silva donated a private lesson. There were also prizes of beautiful plants and children’s toys. In two hours enthusiastic Yogins raised £12,000 for MUKTI to donate to projects in India and the UK. Well done and THANK YOU, Yogins! As usual our patron Trudie Styler came through for us in 2013. She and her husband Sting offered the fantastic prize of two tickets to see Sting perform live at his ‘invitation only’ birthday concert in New York, where he would be singing songs from his new album ‘The Last Ship’ for the first time in public. The prize included the return flight to New York for our winner and their guest, plus five-nights’ stay at a luxury NY hotel. MUKTI added £500 spending money to the prize. From June to August lottery tickets flew out across the country, and on the 9th of September superstar Uri Geller attended a dinner with MUKTI supporters and did the prize draw. The lucky winner's name he drew from the barrel of 8000 tickets was Alison Fergie from Bognor Regis. A long-time Sting fan, she was thrilled to win and took her sister with her to NY. Alison very generously donated the cash element of the prize back to MUKTI! Thanks to Trudie and Sting and Alison and the wonderful public who bought tickets, MUKTI's 2013 Lottery raised nearly £16,000. 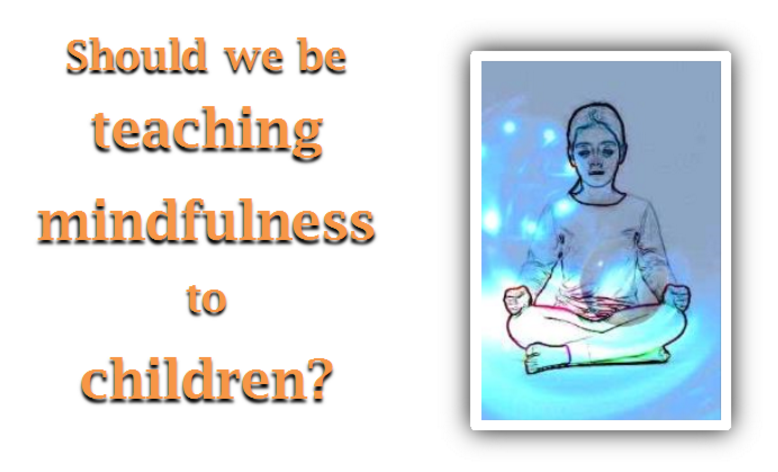 Please read about the Grants MUKTI has donated over the years to various Projects .